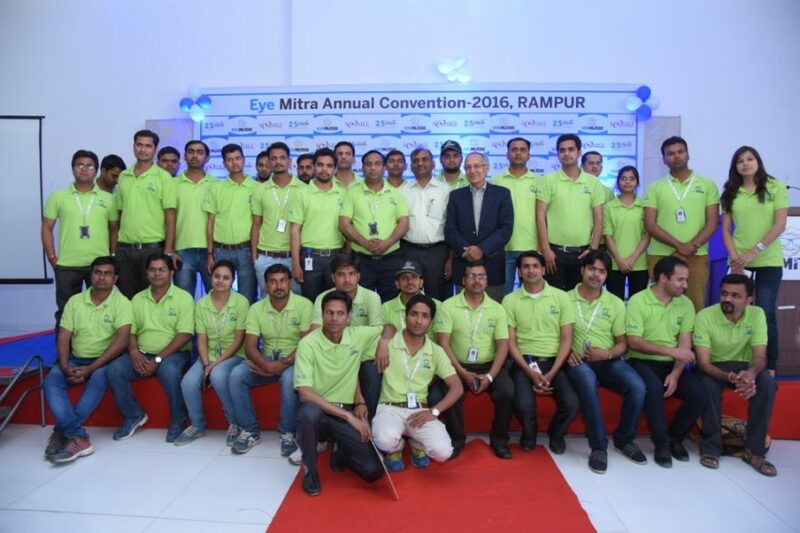 The record figure of 450 Eye Mitras attended an annual convention in March, organised for the past 2 years by Essilor’s 2.5 New Vision Generation. 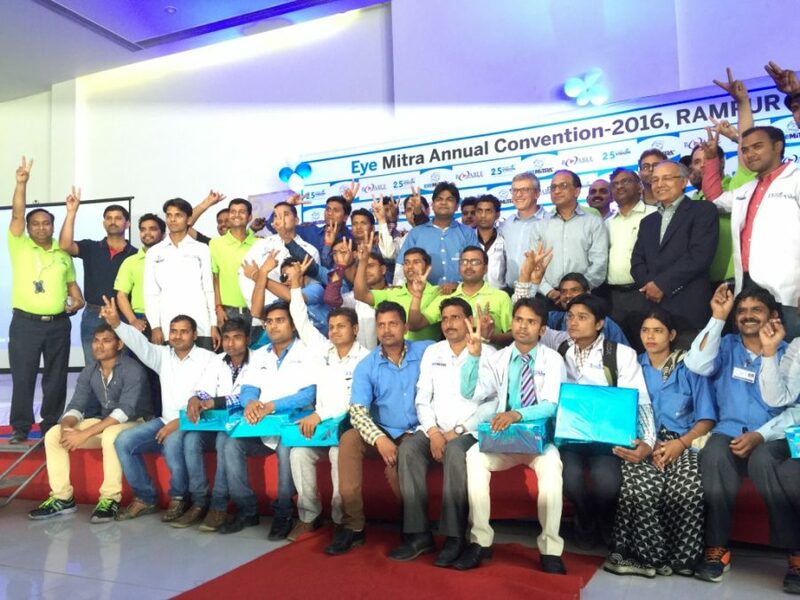 The convention rewards Eye Mitra for their efforts in building their own vision care businesses. This year a number of Eye Mitra shared their powerful stories on how this inclusive business model has changed their professional and personal lives. 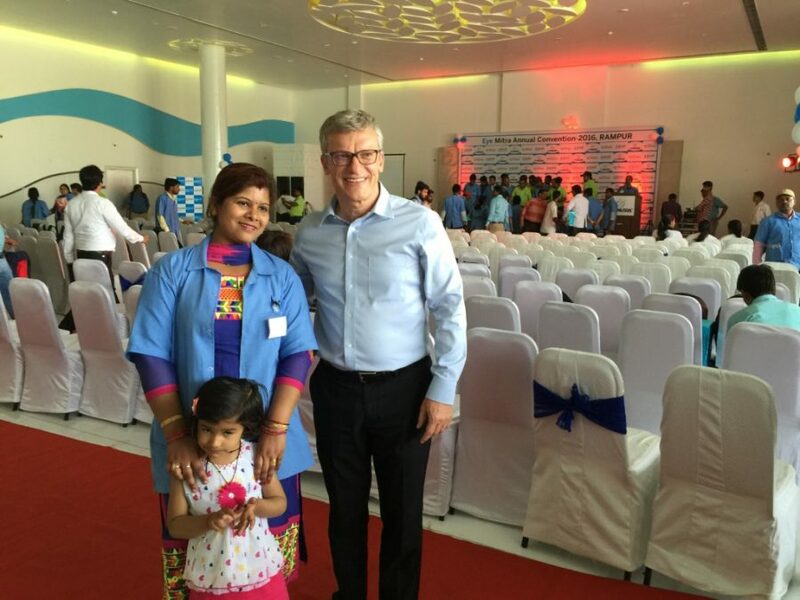 Eye Mitra is an inclusive business initiative launched two and a half years ago by Essilor’s 2.5 New Vision Generation with the aim to improve awareness and access to vision care for underserved communities in India. With only one qualified optometrist for every 25,000 people, India suffers from a drastic shortage of eye care professionals. The concept of the program consists in training local people in the villages in basic vision screening and spectacle dispensing and coaching them in entrepreneurial skills to start their own small business providing vision care to their community. 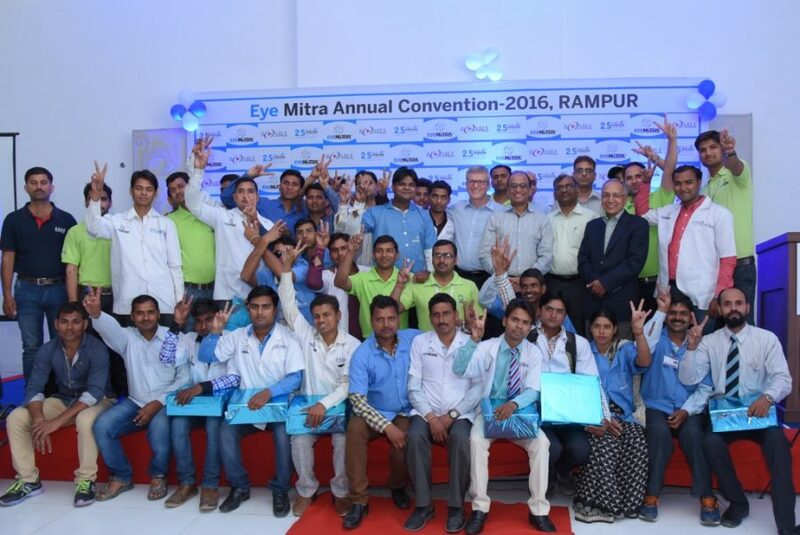 There are currently over 1,200 working Eye Mitras who have served over close to 200,000 people and the number is set to grow to 10,000 Eye Mitra by 2020. 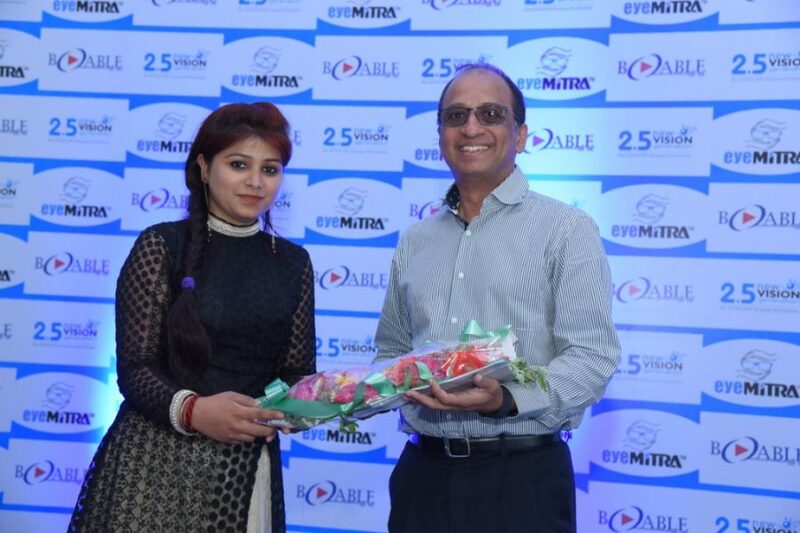 A study released earlier this year shows that Eye Mitra model is not only helping to address the issue of uncorrected vision needs, but it also creates a strong socio-economic impact by enabling young people in a country with a very high unemployment rate to become entrepreneurs and to develop their own business. 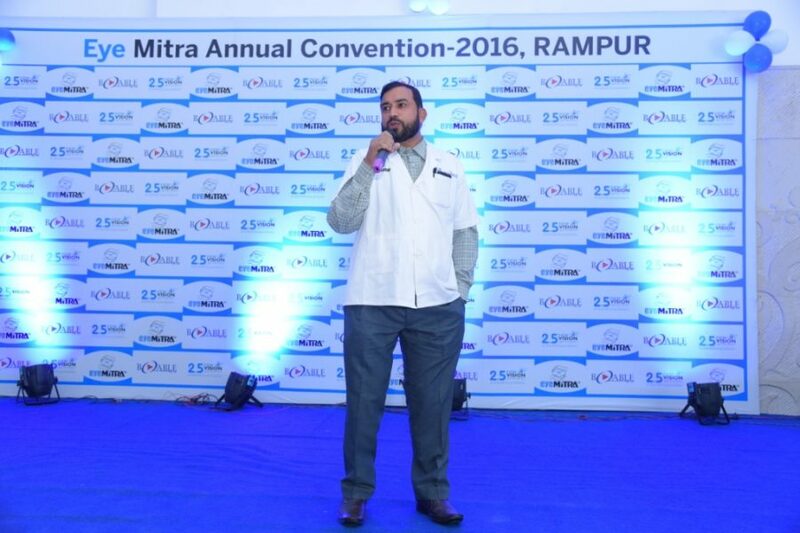 It was impressive to see them all in one place for one day: everyone in the room shared the same excitement about Eye Mitra, the same motivation and the same entrepreneurial spirit. Being a single mother, I was facing lots of difficulties related to the upbringing of my child and sustaining basic requirements of family. But after becoming an Eye Mitra, I am very happy as I am now capable of taking care of my family without taking help from anyone. 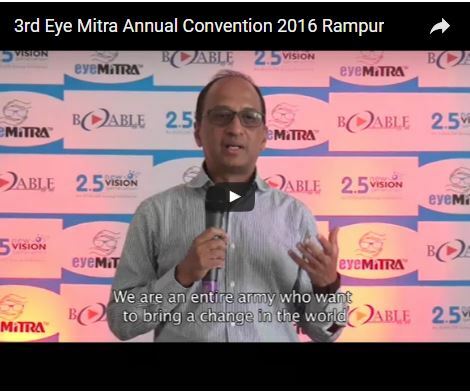 Eye Mitra is a model that contributes to the achievement of several of the Sustainable Development Goals for 2030, including gender equality. Ms Farhaha Siddique is a good example of how Eye Mitra is empowering women by allowing them to achieve financial independence: “Being a single mother, I was facing lots of difficulties related to the upbringing of my child and sustaining basic requirements of family. But after becoming an Eye Mitra, I am very happy as I am now capable of taking care of my family without taking help from anyone”.